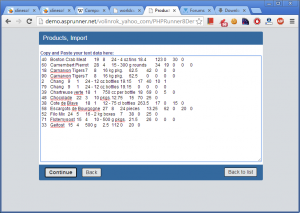 « Displaying World Cup 2014 data with PHPRunner. 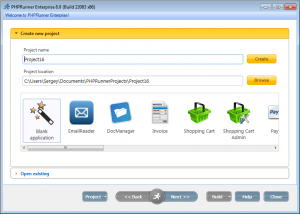 PHPRunner 8.0/ASPRunnerPro 9.0/ASPRunner.NET 8.0 are here. Purchase info and download links. Click any image to see the full size screenshot. 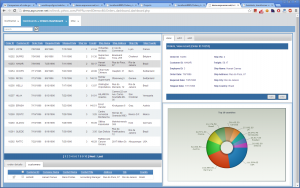 Dashboards allow you to display multiple related or unrelated objects on the same page like grids, single record views, master and details together, charts, reports, search pages etc. Here are a couple of examples. 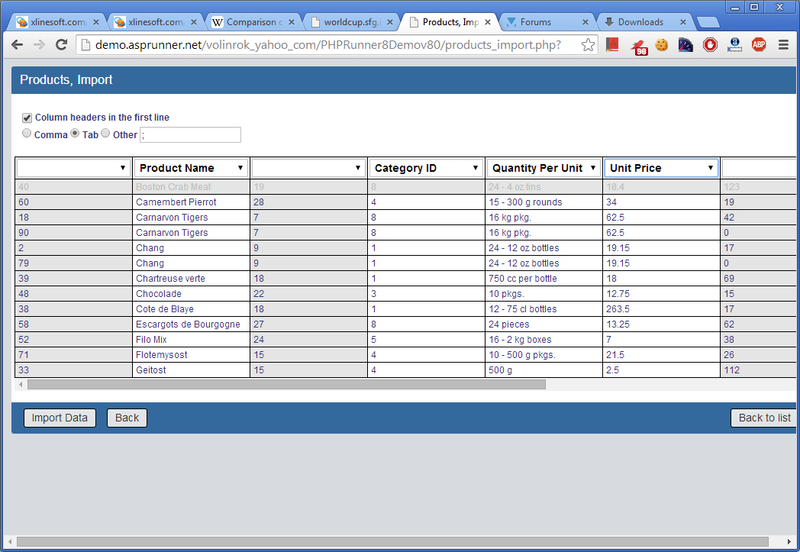 Orders table, along with details (Order Details and Customers) and single Orders table record view. Several tables and charts that are not related to each other. 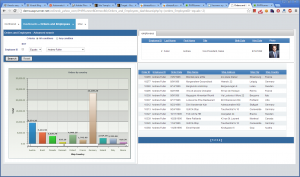 Search chart and data grid at the same time. 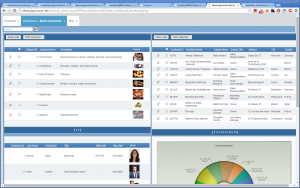 This feature will be the part of Enterprise Edition. 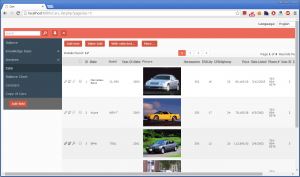 You can add multiple datasources to your project. 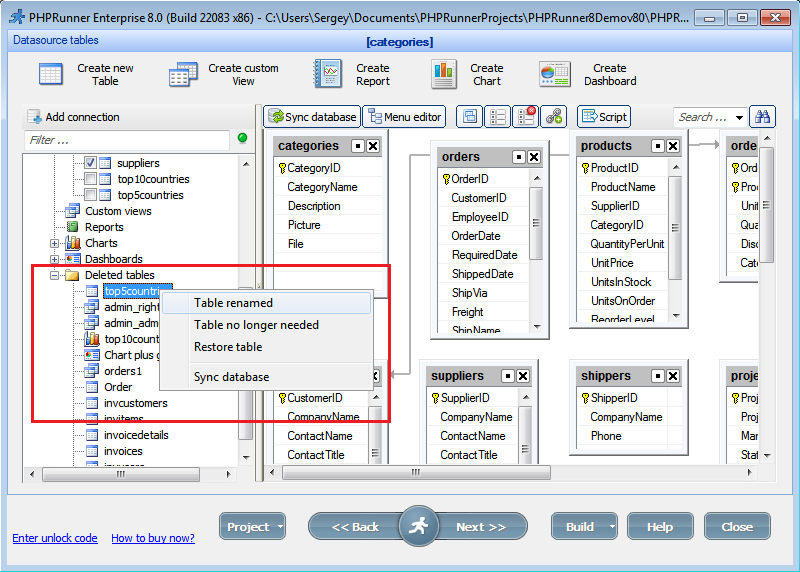 Doesn't have to be the same database type, you can mix MS Access, SQL Server and MySQL in single PHPRunner project. 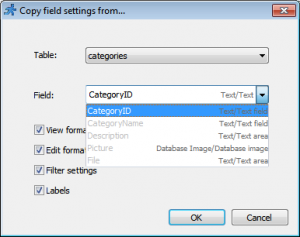 You can have master table in MySQL and details table in MS Access. 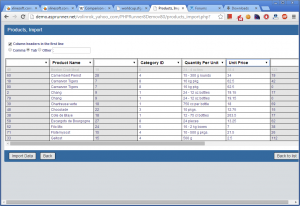 The same applies to lookup tables, they do not have to belong to the same database. 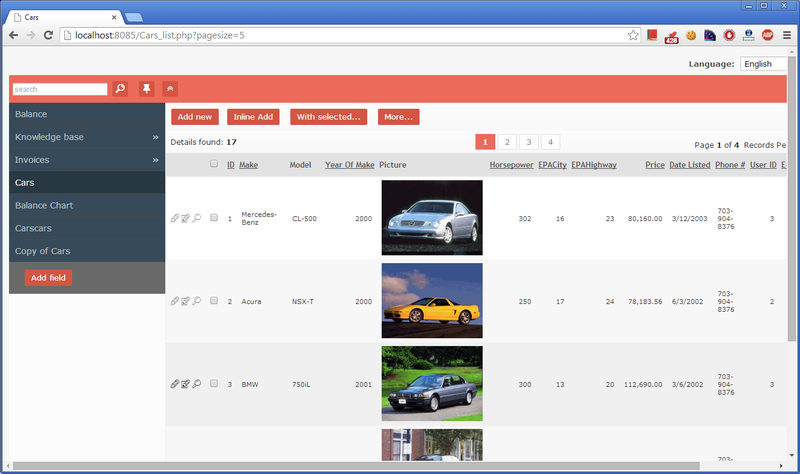 Two major improvements here are columns mapping and an option to copy/paste import data instead of uploading the file. The later can be extremely on mobile devices. 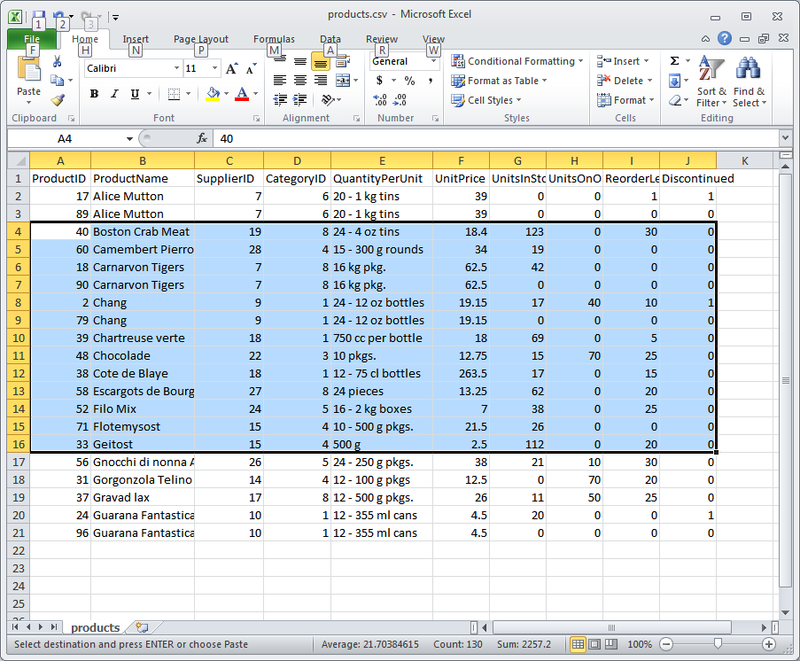 Copy a few lines of data from Excel. Do not have to include column headers. Paste it to the import page. Live demo Make sure to export some data first. 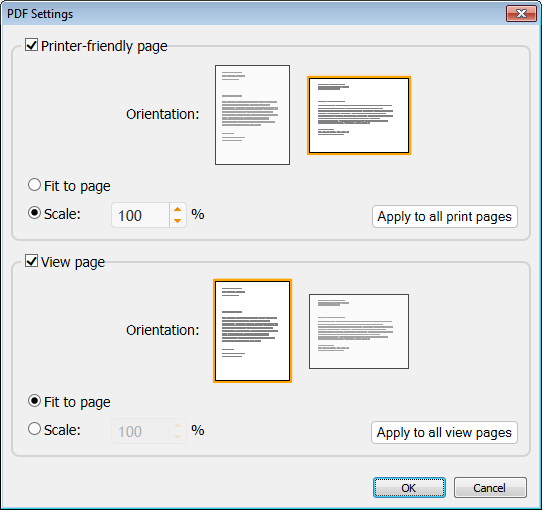 Choose between portrait and landscape orientation, fine tune PDF export by setting the scale. Mostly related to PHPRunner UI. As usually, your feedback is very welcome! Very nice, we were looking dashboard. Nice. Just one question: I was testing PHPRunner 8 and like it, but the 200 build limit poped up. How do I buy this 8.0 version? I only can see the version 7.1 to buy on your site. It will work If I buy 7.1 vesrion? Thanks. Please don’t take me negative. I am testing the beta version and finding out bugs to make next update very stable and more powerful. 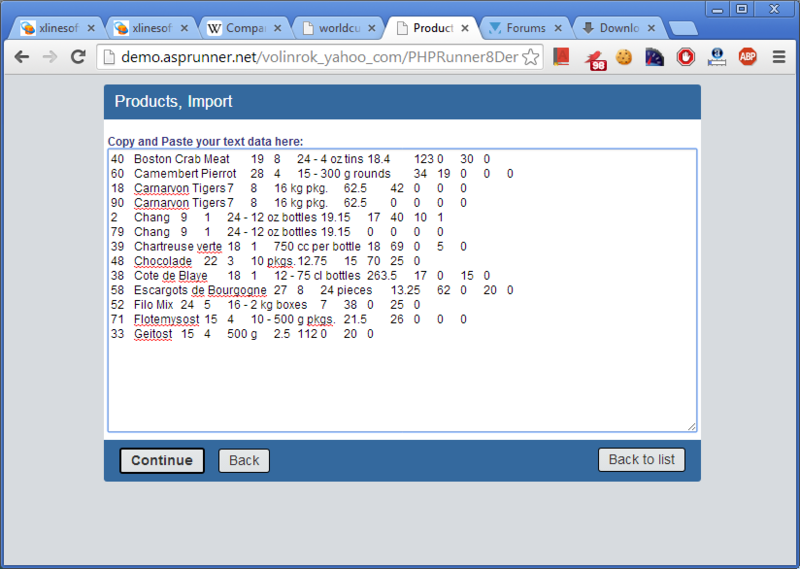 When upgraded from 7.1 to 8.0, I lost all of the dependent controls settings in PHPRunner 8, though generated pages were working fine but it still shows empty field controls in PHPrunner. So I resolved it after resetting field to its default format and then re-assign dependent lookup values. Second bug is when you upgrade a project from 7.1 to 8.0, and you are using database or hard-coded login setting, you can not delete any of the record from generated application. List page will ask to confirm the delete process, and by pressing yes/ok, it does nothing. Loading GIF keeps rolling and nothing happens in real. 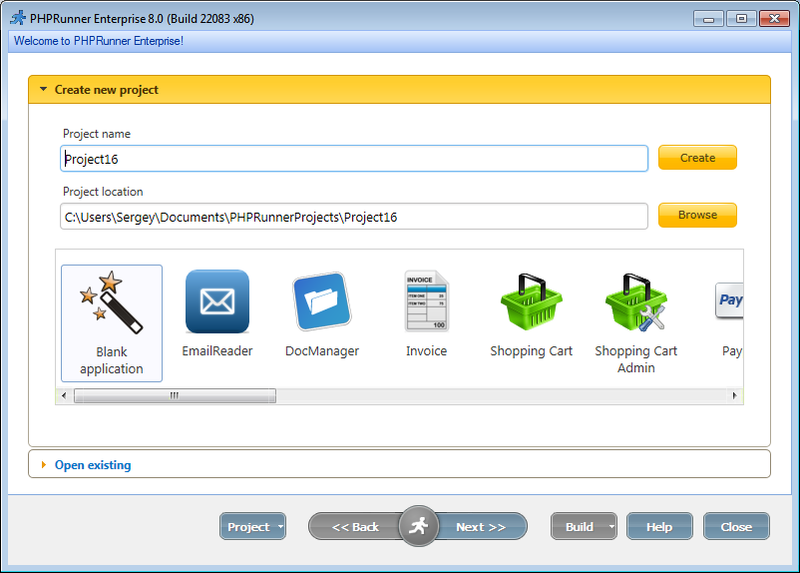 If you generate a fresh version out of the PHPRunner8, delete function is fine. 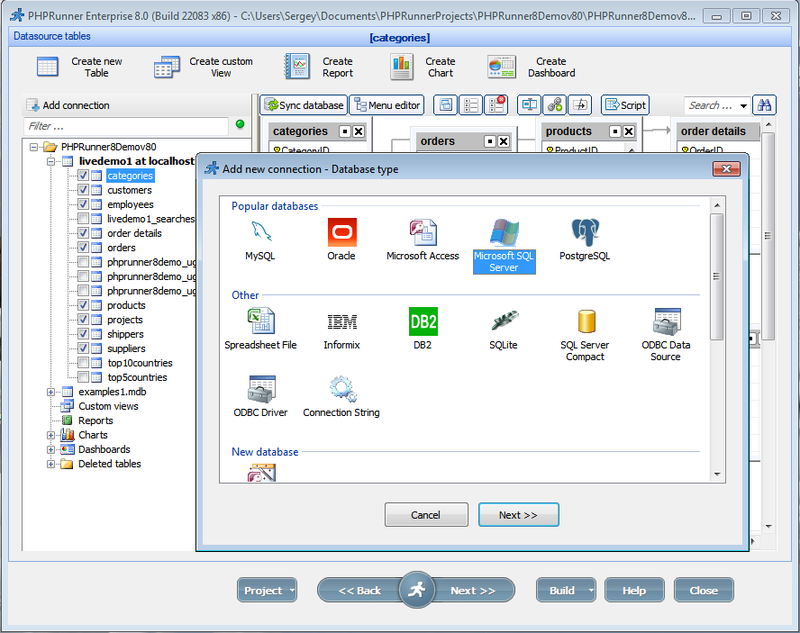 Or if you disable security, means no login, then delete records function is also fine for previous version projects. 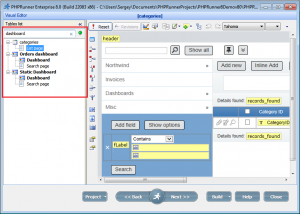 which means it has a conflict with security parameters for previously created projects. If you have date fields on report and you turn that field to be always visible on search panel, then search stops working on reports, you can’t even search in search bar, neither you can add fields for search criteria. If you are using Inline calendar mode or popup calendar mode for date field, then this issue arises. Advanced search is working fine. If you change date control field to not use any of calendar, then search panel and search starts working again. Dashboard can not be viewed if you upgrade project from 7.1 to 8. 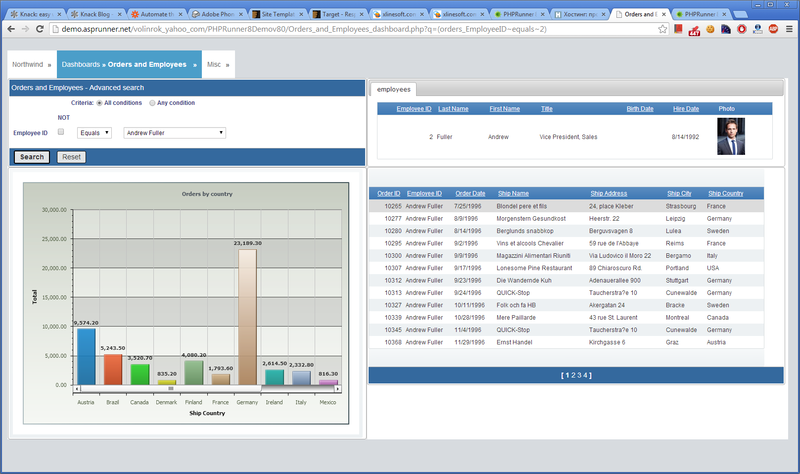 Turncate Dynamic User’s Rights Tables (ugrights, uggroups, ugmembers etc) and then Re-add Admin user from PHPRunner Security Tab Interface and now Dashboard is visible. Thanking you in anticipation for hearing us. 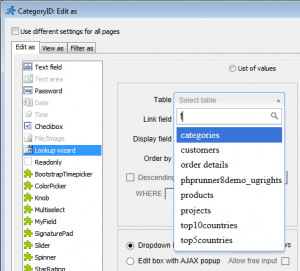 PHPRunner the Best Ever Code Generator. I’ve tested again and again with different parameters to investigate the main cause for records not being deleted. I created a blank project. 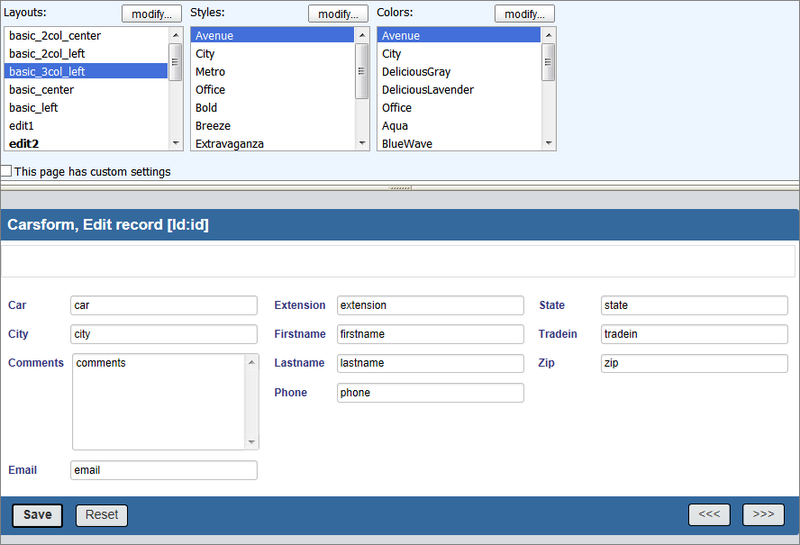 But when I added tables relationships (master and details), and exported the project, delete function stopped working. When I disabled security system, means no login, then delete function started working. 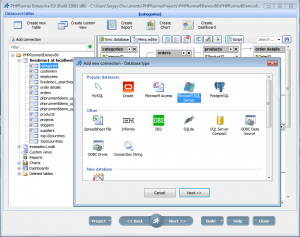 Strange thing is if i try to delete relationship, PHPRunner crashes and saves dump. It means there is something conflicting between Tables Relations coding and Security Parameters coding. I’ve tested it multiple times, As I stated earlier, I created projects from scratch and also upgraded old ones (for exporting only) and every time result is same. 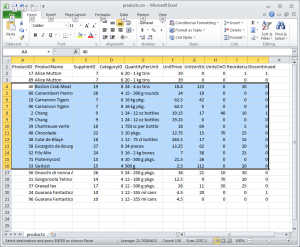 On tables screen, when we use menu editor and finalize arrangement of tables in respective menu groups, it will be very helpful to display those tables in PHPRunner according to menu settings. Currently we can arrange tables Alphabetically, but it is really inconvenient to arrange 20, 30 , 50 or 50+ tables by dragging them one by one and repeating the same task again and again. 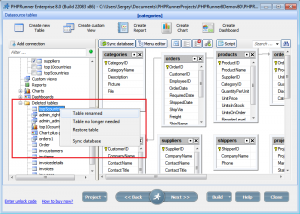 Dear Team, it will be a nice addition to already great product that user can sort tables according to menu settings, this seems more logical and it will not only make project diagram more understandable but it will also help to add relations between various tables. only one of them be updated. in that way one project can be use for different clients and companies without mixing information from one to an other on the same database and/or no need to upload the same project for every client that i have. I know you are working hard, day and night to create a wonderful product for us. Most of the problems (bugs) or related to newly adopted JQuery. Wouldn’t be it great to release another beta or release candidate 1 for testing. Because when multiple user installs the beta/release candidate, they test it according to their requirements, it is the fastest way to find and solve bugs. I bet if you release another beta, you will be able to produce more stable program in less time. Any way keep it up and waiting for next surprising functions. this is how is printing now. the new way will fill out the firs column, then the 2 one. Thank you very much, Sergey, for your on going investment in this great tool. Congrats for releasing new version(s). I want to highlight new bugs in latest release 22701 series. Search suggest and Search Controls for all fields don’t work anymore. Though search work for some fields and for some fields don’t run. (that is extremely strange issue. Perhaps search control is randomly selecting some fields on its own). While in previous beta release that was working fine. BUGS Related to Drop Downs. 1. New version doesn’t remember drop downs settings for old projects off 7.1 series. 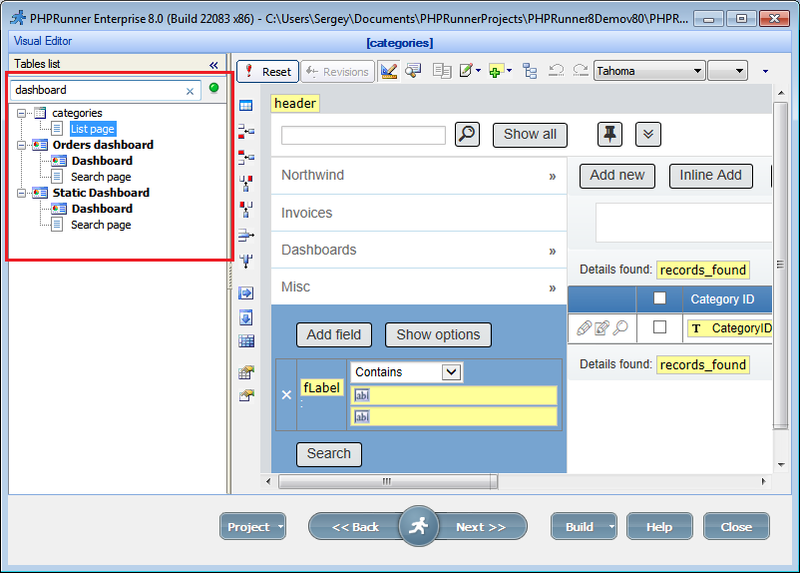 But it remembers drop down settings for newly created projects. 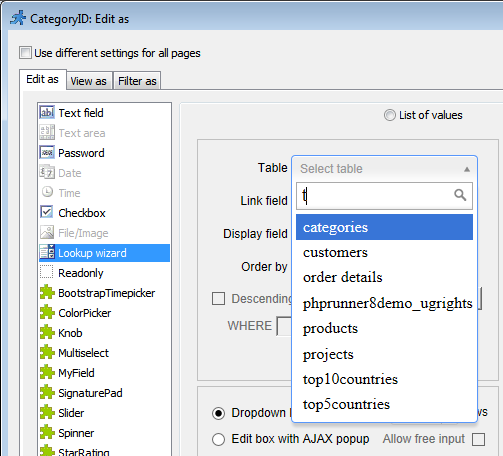 2.In visual editor, where you add/edit/configure drop downs. If you select some field is dependent to other field and press Test button to see how it works. You will be stunned, that child drop downs have no effect, whatever you change parent drop down or not, results are always same in child field. 3. 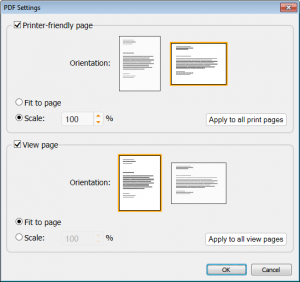 If you have enabled auto fill fields on add/edit pages, nothing happens in generated pages. While in previous beta release that was working fine. Over all the whole work is appreciated. PHPRunner moving towards an extremely needy tool now. I appreciate your hard work and really am grateful that you are not only listening to us but also making it better and better day by day. I want to highlight another bug related to numbers decimal view format. Go to your generated pages’ folder, and find LocaleFunctions.php in include folder. Go to line no 19 and find that code. $val = round($val,2); // you can replace that by 2 or 1 or any other value that you want to keep for your numbers decimal digits. In my opinion Main application is not fetching value of decimal digits to $iDigits properly. any way thanks again for your hard work and I am really sorry if anybody found me annoying.